I Q al Rassooli (pen name) was born in Iraq. His mother tongue is Arabic. He was sent by his parents to study engineering in England. After graduating university, he decided to stay because he found out that the teaching he had at home about other people was one-sided and wrong. Because of the intractable turmoil of the Middle East, he took it upon himself to study the subject matters as thoroughly as humanly possible. He spent almost 23 years –on and off – researching, analysing, comparing and contrasting as many points of view as possible hence had to learn a lot about Muhammad, the Quran, Hadiths, Arab and Islamic histories, Arab / Israeli conflict, the Hebrew Bible, the New Testament, Zoroasterian religion & Pagan Arabian religion. For the following three years he put his thoughts in a thesis that no publisher in the UK (November 2000) wanted to touch because it was so radical and revolutionary. 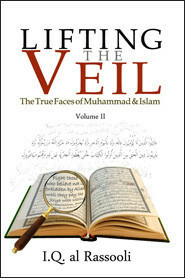 "The greatest threat to human civilization in the forthcoming 21st century is not nuclear weapons but Fundamentalist Muhammadan Islam with or without Weapons of Mass Destruction"
Instead, he had a website created www.inthenameofallah.org and put – so far over 780 chapters – covering almost every facet of Muhammad's depraved CULT Belief System. He also put up over 300 audio/video chapters on YouTube ( Idiots' Guide to Islam) that the Muhammadans flagged them and You Tube – breaking their own guidelines – terminated all of them in an instant. Luckily he had most of them backed up on his blog: http://www.the-koran.blogspot.com and www.alrassooli.com. All Christians, Buddhists, Hindus, Zoroasterians, Jews, Atheists, Animists, Agnostics, pagans etc. All those who do not believe as Muslims do. 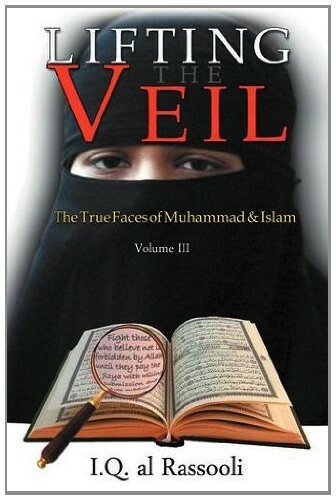 Published Lifting the Veil: The True Faces of Muhammad & Islam (Volumes I,II,III) that utterly discredit Muhammad as a prophet and the alleged divine origin of his Quran based entirely on the Islamic 'holy' sources in chapter and verse. His credentials are embedded in all of the above. 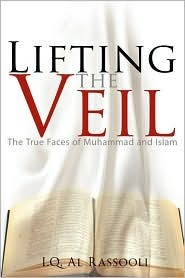 He says his mission is simple: "The complete exposure of the obscene FACTS & REALITY of what the media call 'Islam' based entirely on the very Arabic sources" and has over one million dollars' worth of challenges to every human being who can disprove any of his revelations (not a dime taken even after four years).